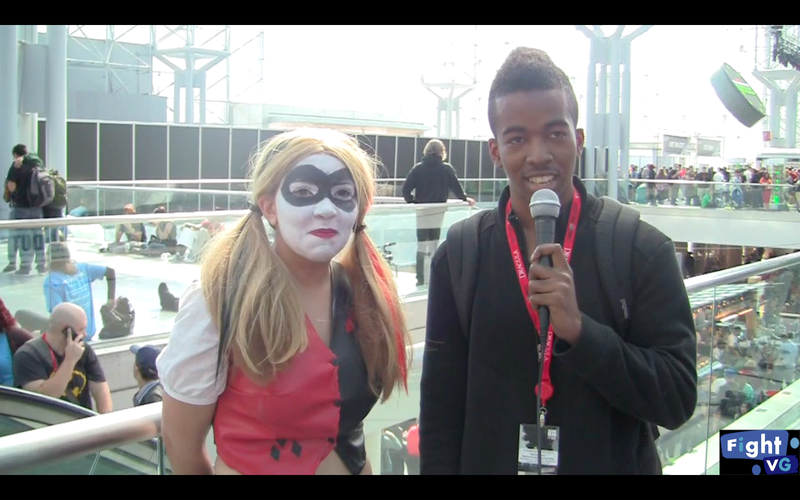 Harley Quinn may have not been with "Mr. J" at the 2013 New York Comic-Con event, but she still had some craziness to share. Watch the interview inside. Today (Oct. 12) FightVG ran into DC Comics villain Harley Quinn, who surprisingly wasn't creating any mischief on the show floor of New York Comic-Con 2013. We caught her while she was waiting on The Joker, which may explain why there weren't pies being thrown at us.